Demon Day, or De-MONDAY? Either way, this is probably how Harvey Comics would have done Jack Kirby’s Etrigan The Demon showing up to work with a case of the hellish Mondays. 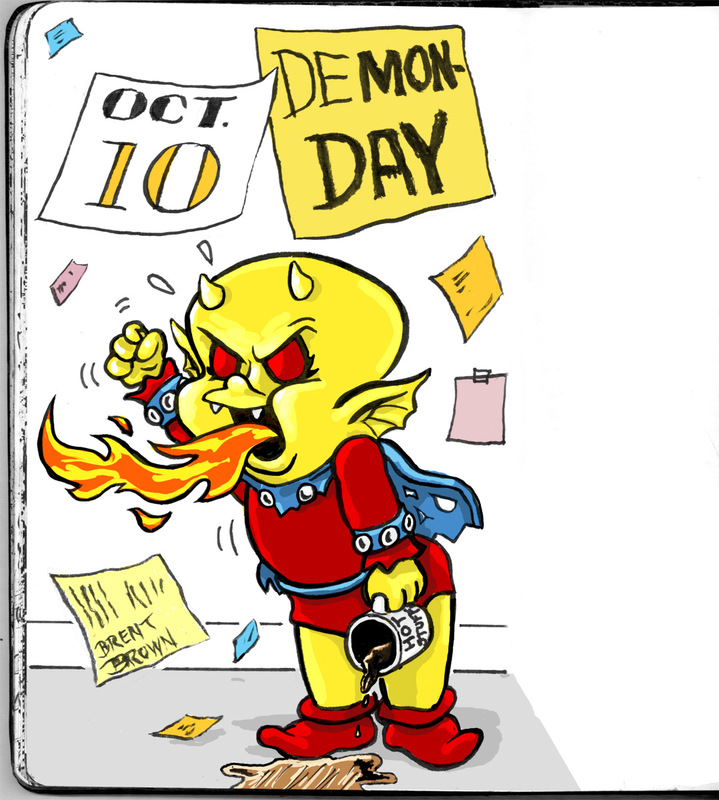 This entry was posted in Drawlloween and tagged demon, drawlloween, etrigan, Harvey Comics, Hot Stuff, mondays, The Demon by bre bro. Bookmark the permalink.